My phone is smashed & the bluetooth headphones were connected to the phone. I have now got a new phone but we cannot connect the headphones to the phone. Any idea how we can connect to the new phone. It is not possible to disconnect from the old phone as we cannot even turn it on. 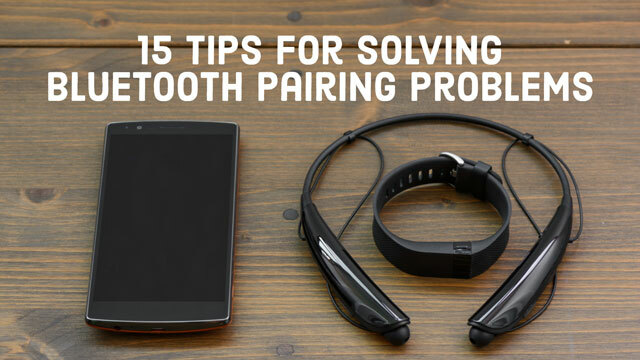 If your headphones are still paired with your old phone, you need to put them into pairing mode again to find your new phone. Usually that means holding down the power button until the lights blink blue and red or rapidly blink. For specific instructions, consult your user manual or search for “pairing mode” along with the name of your headphones. What version of Windows are you running? And, what model of Samsung notebook? 4. Right click on Bluetooth Support Service and select properties. Never mind- I got it! Once you pair your speakers you have to choose the sound player just like you would have to choose your default music player. Right click on the speakers on the taskbar bottom right, choose playback devices, select the device you want to playback your music. Right click it and select make default. Hello, I’ve had my phone for about 6 months and it was working fine with my blue tooth in my car but all of a sudden it won’t work and the car continues to searching for it. This is interrupting my radio every 1 minute. It is so frustrating. At this point, I don’t care if I ever use it again, I just want the radio to not get interrupted every minute. To operate the blue tooth in the car, I have to push a ceiling button, but that is not working, I am unable to ask it to delete phones. I did that once and repaired phones and that worked for one call and then went back to not working and now I am unable to delete phones. Any ideas? The dealer says $2000 to replace system. Ouch! My phone’s blue tooth was working perfectly with my Ford Fiesta but then all of a sudden a couple days ago it wasn’t connected and it won’t reconnect. I’ve tried restarting both devices. I reset the blue tooth in my car. Every time I try to connect them, my car immediately says “Failed Pairing” and returns to the previous screen. Neither of the devices will recognize each other. Help! This is very frustrating! Rather expensive Blue Tiger Elite Dual Camo etc. headset will pair to my cell phone but not to my computer. My computer guy says talk to Blue Tiger and Blue Tiger says talk to my computer guy. I now have a $115 dust collector. Found a solution to "missing driver" ! My UE Boom has been playing music of Asus Laptop for while via “listen to music” option. However, yesterday it will not allow me to do that. The process used to be; Start Spotify and play music. Turn on UE and it automatically connects to “Voip calls and handsfree”. The sound plays poor quality so I disconnect that option and connect via “listen to music”. Within music it is playing music again at superior quality sound. Problem: it connects as per normal to voip but when i disconnect and reconnect via listen to music it connects but continues to play the sound via the laptop speaker. I’ve reset the device and deleted from PC and started fresh, same problem. My zte phone finds/pairs/connects to lg tone pro 760 headphones, and can find every other bt around, but can’t find lg 800 hdphns. My moto e phone connects with both, no problems. lg and zte had no solutions. I’d just bought my new wireless headphone for my phone, but after pairing the both devices, my phone’s keypad is disabled, what should I do? As far as I can tell, my iPhone 6s runs Bluetooth 4.2. I have a JBL Charge 2+ bluetooth speaker, that according to the specs, runs Bluetooth 3.0. I can pair the two, but when I try to play iTunes music from my phone through the speaker, no sound comes out. Is this a compatibility issue? I have the same problem with my Dell Inspiron 11 3152, which apparently runs Bluetooth 4.0. Any help will be appreciated. Given the number of people in the comments who were helped by this article, we thought we had finally produced something useful. Apparently not. We apologize that we couldn’t do a better job serving your unexpressed needs (where you instead looking for an article on how to be a better gardener? If so, I agree, this article would be the most useless article you’ve ever read). In any regard, we will get right to work on an article that may have a greater amount of usefulness, as per your request. I have scan this forum looking for a resolution to my issue, and from I can tell they have helped well over 2 dozen people so far. So if you don’t have a legit Bluetooth issue or question, go troll some place else. Nr.7 rezolved my problem. I had economy power on, and could not connect trough bluetooth. Sometimes the fix is really simple, but finding what that simple thing is can be a real pain. Glad the article helped. I purchase from cart a Bluetooth wireless above from zebronics compny, my (android device is rio R_201), while paring device do not shown headset name longtime, and finally not swon . whts wrong with me . please tell me it possible to connecte or unsupported. Ive tried everything on this list and nothing has worked, my headphones refuse to connect to any of my devices (iPhone 4, Samsung galaxy tab) help!! I can’t return them to target because I lost my receipt. I tried everything please help! After an hour looking at Samsung’s help and downloading 2 apps which didn’t help, I hit Google and came across your tips. I tried two of them - move away from the router and use airplane mode. Bam, the phone recognized the bluetooth headphones and I was connected in seconds. Thanks for being a problem-solver. I had the problem that my phone wouldn’t connect to my car system due to incorrect pin or passkey. I downloaded an App from Play store (free) which is a multiplayer client - Click,Link,Compete. Set your phone bluetooth to on. Click on the App and it will ask to allow a Bluetooth connection - allow and then backspace to the menu and try to start the ‘Air Hockey client’ this will then try to connect to any blutooth device present and request a pin / passkey - select your car system and enter your pin - you will then be connected - its worked for me for two different car systems. How do I pair my iPhone 5s with the Polaroid Pogo Bluetooth printer? Is there an app I could use? I’m trying to connect my Bluetooth headset S530 with my phone iball andi 4.5 enigma+. But when I’m switching on both the device. The Bluetooth device is showing on my phone but a keyboard icon is shown with it not the headset icon. What should I do? You can solve you problem with EL83s softwear that you easily help you to solve your problem. hi can you please tell me where can i find this software as i searched on Google and I’m not getting satisfied results. so if you may please share a link and tell me more about it. 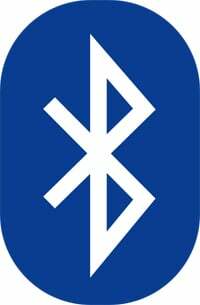 thanks..
What is Bluetooth? When was it discovered? 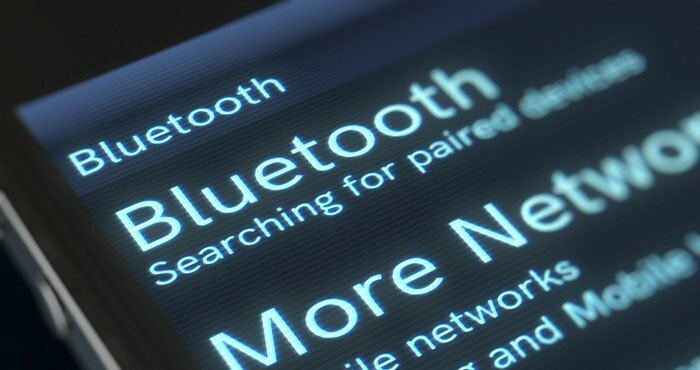 This Bluetooth is commonly used to share the data between two different electronic devices. This is one of the most common integration in every phone in our daily life. Based on the working of this system many new inventions are come in these days. For example Bluetooth speakers, Wireless headset, Selfie stick etc..,. The latest […] learn more.. Cannot get my Bluetooth Scanner to pair with my Samsung S4, tried everything, including calling the TI, and suggestions? Pairing with TV Bluetooth transmitter. Just bought a Sharper Image Bluetooth transmitter for my TV but am unable to pair it with my Samsung android mobile as no device seen by mobile. Will it work with a mobile or only with bluetooth earphones? Any other solutions? I have a AT&T flip phone with B/T pairing to a new 2016 Chevy Malibu. I am able to pair and use the B/T but the next time I get in the car I have to pair my cell phone to the car again. Why won’t my cell phone stay paired? The steps in the article will resolve most issues. Auvio bluetooth speaker. My laptop was already auto-pairing and can’t have 2 devices paired at once, so my phone could never pair!! The list of things to check should include - un-pair other devices…. I have a Goodmans GDSB04BT50 soundbar. The bluetooth worked with my iphone4 but I now have a SAmsung Galaxy S6 and it wont pair. The error message showing on my mobile states ‘unable to communicate with GDSB04BT50’. It is not the soundbar as it pairs with other devices. Is this simply a bluetooth incompatability issue or a common fault that I dont know how to fix? Do you know how to fix it? I have a 2 spkr TDK Boombox that works in Windows, but not in OSX. In OSX I can pair the speaker successfully, but when I switch the sound to output through the paired device, nada.